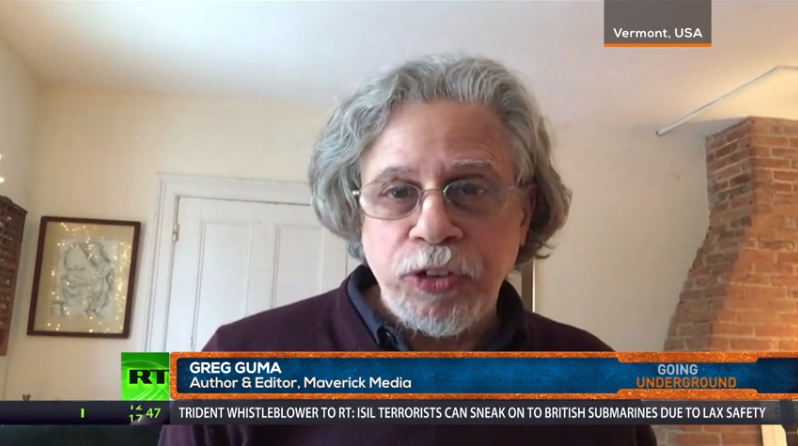 Following his appearance on an IPA news release last month, Greg Guma, author of The People’s Republic: Vermont and the Sanders Revolution, was featured in several interviews. In his radio interview with WLEA radio, he spoke of the changes implemented in Vermont and Sanders’ campaign outlook. In an appearance in the February 27th airing of Going Underground, he commented on Sanders’ ‘inside-outside’ approach — working outside his party when necessary. With Al Jazeera’s Shihab Rattansi, Guma discussed the candidate’s historical commitment to social justice.